Discounts, Cash Prizes, Free Packages & More to Explore Before the Year Ends! Kuwait – 23 December 2018: Abdulmohsen Abdulaziz Al-Babtain Co., the sole authorized dealer of Nissan in the State of Kuwait, recently announced grand deals that now come with special prices, and packages on selected 2018 and 2019 vehicles for fans to enjoy as the year comes to a close and the new year begins. Nissan Kuwait invites everyone to visit its showrooms in Al Rai and Ahmadi and explore this year’s season gifts that the Nissan MAXIMA, Nissan PATHFINDER, Nissan SUNNY, and Nissan SENTRA have to offer. All Vehicles comes with 5-year unlimited factory warranty, 3rd party insurance and free traffic registration. Starting for only KD 7,699, the 4-Door Sports car, Nissan Maxima thrills fans with a 300 HP engine, 3.5L V6 cylinder, and 18” aluminium-alloy wheels styled with a mirror-effect derived from a unique diamond-cut finish. The front presents the signature boomerang-shaped headlamps that feature a captivating LED signature line that stays illuminated at all times. With full option of KD 2,000 cashback gift, the 4X4 seven-seat family vehicle, Nissan Pathfinder comes with a 3.5-liter V6 engine adds direct injection system, horsepower increases to 271, with towing capacity of 1,500 KG and is offered with enhanced user friendliness features ranging from Motion-Activated lift gate to a new touch screen monitor; and 20 inches alloy wheels. As well as the Nissan Sunny 2019, now for KD 2,999 with its spacious interior, advanced technology, and performance as the bumper-integrated lamps provide extra illumination under foggy conditions and a 15-inch machine-finish aluminum-alloy wheel design. Making parking easier, the rear parking sensor is a boon with its ultrasonic technology. Accommodated by a Bluetooth hands-free phone system, the vehicle also brings in smart technology, ensuring a great experience through its audio system with AUX/USB feature capabilities. The Nissan Sunny comes with a 1.5L engine. Starting for only KD 3,999, the Nissan Sentra comes with 130-hp, 1.8-litre, 4-cylinder engine with advanced valve timing to its next-generation Xtronic CVT transmission. It is a technical force aimed at providing the best of both worlds – efficiency and performance providing the best-in-class fuel economy that sets the standard. The Nissan Sentra’s design was perfected in the wind tunnel to create a shape that’s as fuel-efficient as it is refined. NissanConnect is an available smart technology that will be found incredibly handy combined with music, information, and the apps that keep one connected to their world seamlessly together through the smartphone and the Nissan Sentra’s touch-screen. 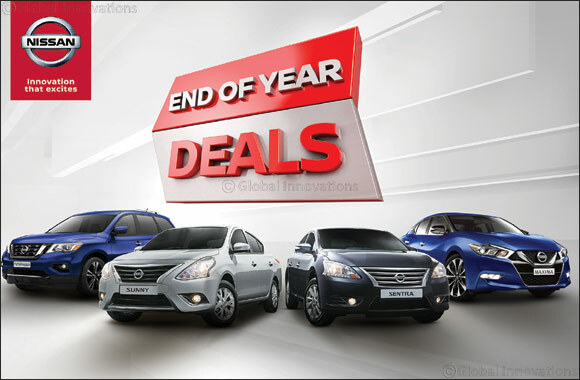 Nissan Al Babtain invites customers to seize the year end opportunity and visit its showrooms to enjoy the exclusive deals. Every campaign is a reflection of Nissan Al-Babtain’s commitment to enhancing every customers overall appreciation by offering great seasonal deals that suits all categories.